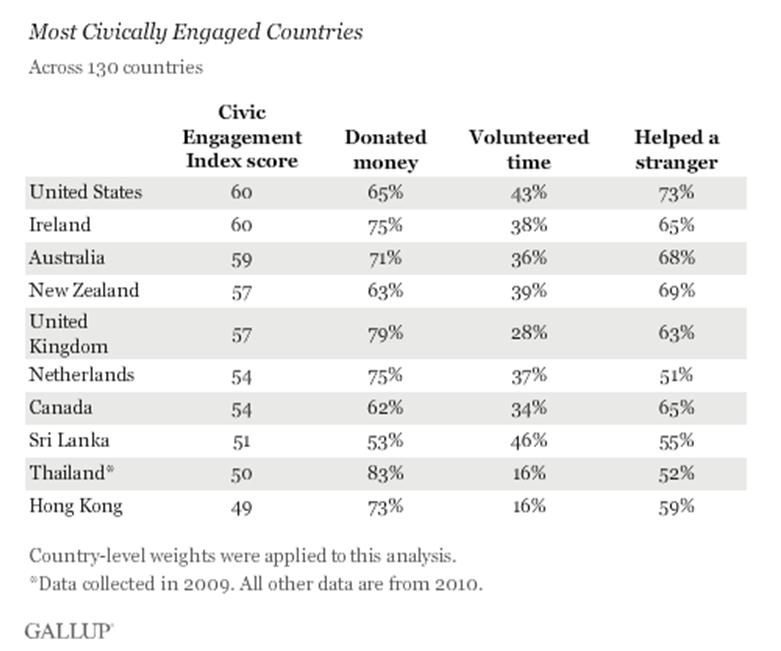 ...assessing individuals' likelihood to volunteer their time and assistance to others. Respondents are asked whether they have done any of the following in the past month: donated money to a charity, volunteered time to an organization, or helped a stranger or someone they didn't know who needed help. 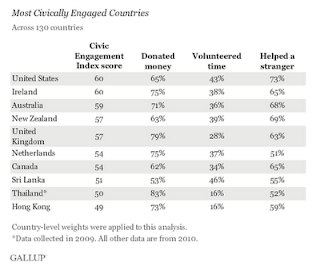 In 127 out of 130 countries, people are much more likely to either say they have helped a stranger in need or donated money in the past month than they are to say they volunteered their time to an organization. Their findings remind us of the depth of social capital in this country, and the capacity we have to weather change and uncertainty whilst retaining our decency throughout. We may feel some shame about our present predicament, but here is at least one reason to feel proud. Having been living in this country for several years, I have noticed that Ireland has an active NGO sector. People organise themselves to tackle the problems shared among themselves, and they receive strong support from the general public through donations and various other means. 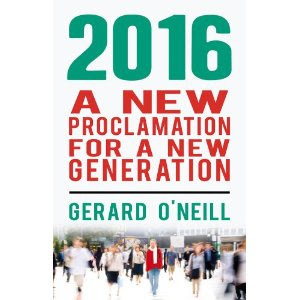 I believe it is a strength of Irish society that there is such a social system already built-in, the system comprising both those who take the initiative and those who support.